Oak can do some pretty amazing things to beer. As brewers we’re always appreciative of the flavours, aroma and complexity that not only oak can bring but also the heavenly liquids that the barrels once held. Whether the finest Chardonnay, a sour mash Bourbon or a sweet, sticky Pedro Ximénez sherry, the character that can come from the memory of these fine drops can be impressive. Here is what we want to do. The very first bottle of our chalice series is up for auction. 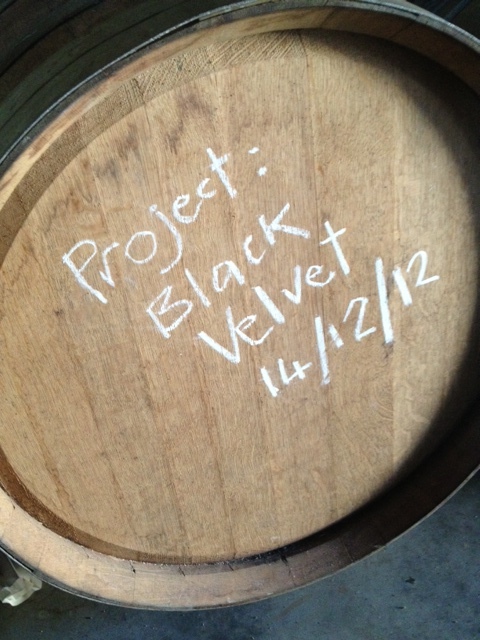 It is an interesting brew… It was born on November 19, 2012 as a big, bold dark brew. 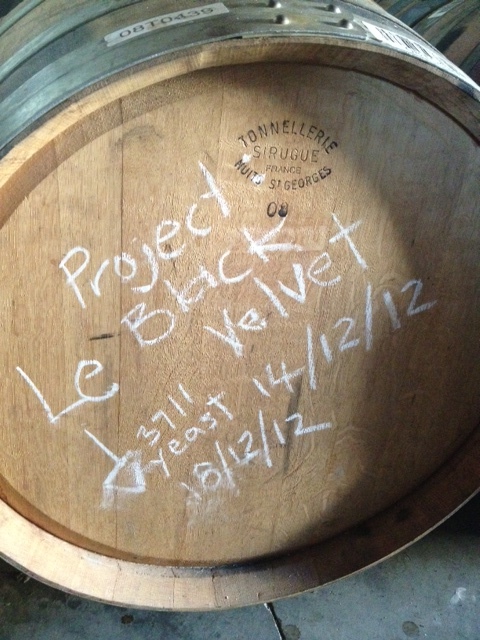 Fermented initially with a British Ale yeast strain, it then found its way into some fine French Oak 2008 Pinot Noir barrels from Spy Valley in Marlborough where it has slumbered for a little over 6 months. During this time, an American Ale yeast strain and a Saison yeast made their way into the mix to help with the fermentation. Why chalice? The beers that will come out in this range are a little bit different than the norm. They’re to be appreciated and savoured. To be sipped and to satiate. We love the wonderful goblets and chalices that the Belgian brewers use to showcase their beers, so thought it was the perfect name for this series! The goal was to blur the boundaries between wine and beer. To showcase the berry goodness of the Pinot Noir, the subtlety of the aged oak notes and the underlying soul of the malt, hops and yeast varieties used during the beer’s birth. We think we’ve achieved that. As for styles? If we enter the technical world of brewing, we guess it’s somewhere between a Black Saison, a British Imperial Stout and a Belgian Dark Ale. Like the Belgians however, who are renown for creating brews more on provenance than on a style guideline, we just call it belgian black. It comes in at 11.2% AbV. The beer in this bottle has finally been refermented with a strain of French Champagne yeast. It’s alive (the yeast in the sediment in the bottom of the bottle is testament to this), it’s been through a lot, with four separate fermentations and most importantly it has wonderful drinkability. We won’t tell you about what it tastes or smells or looks like. We’ll leave that to you. We’re going to run the auction on the Good George Brewing Facebook page, so jump on and place a bid for a great cause!